For a unique eco-tourism experience in Nepal that is of direct benefit to the villagers. Our visitors are taken to unspoiled villages where they spend a few days living with the local people and being treated as honored family guests. While staying in the villages, guests enjoy comfortable accommodation, delicious local food and drink and a welcome that will remain a happy memory for a lifetime. While they are with us our guests can rest assured that they are always in a secure and safe environment. Local attractions, both scenic and cultural, are shown to our guests by our well trained ethnic guides who always do their utmost to make the guest’s stay a memorable experience. The traditional culture of the different ethnic groups is a highlight a village visit. These warm and friendly people are always ready to perform their music and dance and to give an insight into their religion. Examples of local handicrafts will be on display, and for sale, to guests. Nepal is the synonym of villages and mountains scenery whole mountain rang from Annapurna –Manaslu - Langtang and Gunash Himal and undeveloped these area for modern tourist yet. Nepal is the country of villages where peoples are living without any touch of modernity. This type of trek and home stay is designed to give you full experience of kindhearted village peoples. The use of homemade foods and local things will provide chances to develop their standard we hope. We have developed this special trek and tour itinerary to show you the real Nepalese life and the villages. The trip is focused in Village Life. You will experience the life of villagers and we will mainly visiting in Dhading District. 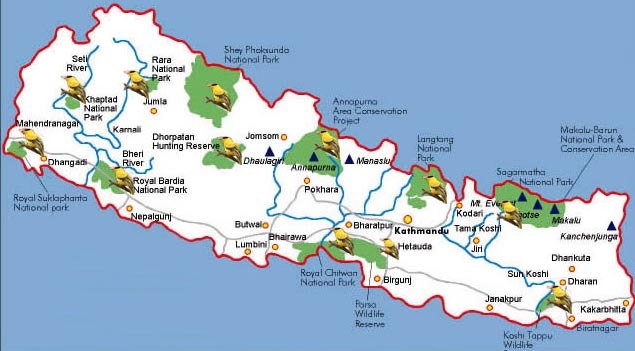 Dhading, situated north west of Kathmandu is close to the capital in terms of distance, but large parts of the district, especially in the north, are very remote due to lack of roads and education Dhading is closed to Kathmandu but still one of the undeveloped area in Nepal. The pourenace has become a growing concern in this area. In addition, a lot of youths have been displaced by the past conflict in the country, with most choosing to flee to India or the capital. Food shortage is prevalent in the northern part of the district. So UMN also involved with local partner organizations to work on the areas of Education, Enterprise Development, HIV/AIDS, Women and Children, and Food Security etc. Information of Home Stay Program in Nepal. Nepal is well known for its bio-diversity, but also for its very rich cultural diversity too. There are more than 70 ethnic groups with distinct cultures and languages, like Brahmin, Chetri, Sherpa, Gurung, Magar, Rai, Limbu, Newar, Tharu, Chepang, Dhimal, Koche. Lepcha, Satar, Thakali and so on. Although each of these groups has its own unique culture and language most speak the national language (Nepali) in addition to their native tongue. Each ethnic group are slightly different to the next, whether by their facial structure or clothing style, religious festival, traditional foods, architectural style, social dealings or customs. The mixture of Hinduism and Buddhism is another unique experience. While traveling in the rural areas the social groups maintain many of their very old cultural practices. Traditionally most Nepalese consider the place they live to be holy ground. So they construct many temples, Gumbas, Stupas, Monasteries, Shrines etc. and plant sacred plants such as Banyan, Pipal and Tulsi in front of the house. Where people pray and offer sacrifices to god. There are 365 days in a year, but it is hard to find a country like Nepal that has a festival for every day. So every day festivals are held by at least one ethnic group. Most of the ethnic groups have their own calendar (lunar, solar or ritual), that dictate many festivals along with planting, harvesting, weddings etc. Most of the Nepal's ethnic groups believe in Shamanism or divinities, spirits, ghosts, witch doctors, faith healers, astrologers and different worlds after death, such as beyond heaven and hell and all places in between. The social systems of arranged marriage, birth ceremonies, funeral ceremonies and criminal punishment are also different in each group. Nepal is a mountainous country and over half the people live in the hill regions and remote rural areas, without electricity, telephones or other modern facilities. Nepal's main occupation is agriculture. As the climate is different from region to region, so the people grow different types of crops such as rice, maize, mustard, wheat, barley, buck wheat, lentils, millet, potato, linseed, cabbage, cauliflower, ginger, beans, leeks and so on depending on the availability of water and the irrigation system. People also keep many animals like cattle, buffalos, yak, horse, donkey, goats, sheep, ducks and chickens for milk, meat and to work the land. Most Nepalese are living in harmony with nature. They have had a very strong relationship with the earth, the forest and animals since the Stone Age. In the rural area men and woman are seen busy plugging using buffalos and oxen, planting, weeding, threshing, harvesting, grinding, breaking up clods and stones, and carrying heavy loads in baskets supporting by a head band. The well preserved culture and diverse ethnicity in the rural areas are a fantastic opportunity for the visitor to experience something unique every day. Explore Alpine Adventure Tours provide a glimpse into village life far from the modern world. This offers every visitor a view into history, unspoiled by modernization and provides a clear view of what Nepal's rural village life was like before the western influences seeped in. Explore Alpine Adventure Tours and treks organize the HOME STAY PROGRAM for visitors. This is not a new tourism concept for us, as all of our team was born in rural areas. The program is focused on personal rural, culture based, village and nature tourism. There are hundreds of travel agents in Nepal but Explore Alpine Adventure Tours and treks are the only one that organizes this kind of tour. It is small scale eco tourism, with a very personal feel, as there are hundreds of places in the rural area where westerners have never been, and where the local people have never seen westerners. It can be a real eye-opener for all concerned. Generally the benefits of Nepal’s tourism industry don’t reach the grass roots level and the people who are living in the rural area. The typical HOME STAY PROGRAM is ideal for the local people as they meet the tourists on their home ground and ideal for the tourists as they meet and interact with the locals in an indigenous environment, and both appreciate the value of preserving the culture and traditions for the future. During the home stay program people can sample the all local organic products and handicrafts. The driving principle behind this effort is that tourism can be introduced into new areas in such a way so as to improve the socio-economic standing of local communities while preserving the environment and avoiding common pitfalls of growth in tourism. It is the policy of poverty alleviation through pro poor, pro women, pro rural community and pro environmental tourism. The visitors can be proud of themselves in the knowledge that they are not destroying the culture and traditions they have come to see. In this way we believe tourism can play a vital role for poverty alleviation. There are many rural area are yet to promote eco-tourism. Along with natural beauty, historical legacy and cultural heritage Explore Alpine Adventure Tours and trekking give you something different, a unique life time experience. We are very sensitive to the impact of tourism on the local culture and environment so Explore Alpine Adventure Tours and trekking have some policy and commitment for visitors to follow while on the Home Stay Program. Policy and commitment are meant to minimize the tourism impact upon the area and also ensure that tourism revenue contributes to the development of disadvantaged socio-economic groups. While these are not hard and fast rules, these suggestions can help to preserve the area and increase the enjoyment of your trip. What you won't get on this home stay program. Hot showers, electricity, television, beer, hamburgers and modernize food, comfort toilet, rubbish on the trail, thousands of tourists. What is included on package cost? A Guide with flaunt English who can translate the language. (If necessary), Boiled water for drink.